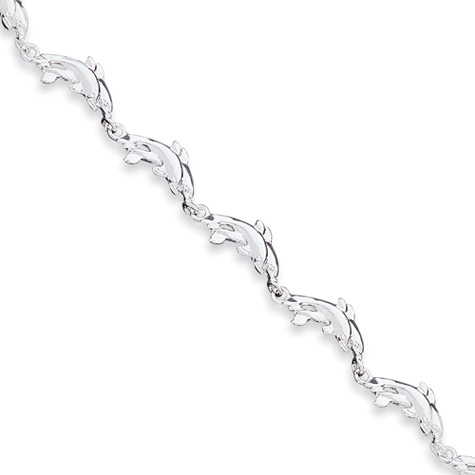 7in sterling silver dolphin charm bracelet is made in the USA. Lobster clasp. Weight: 12.27 grams.